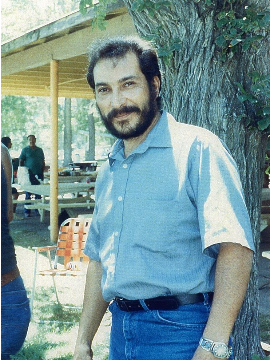 Arthur Joe Herrera, 68, passed away on January 24, 2019, at his home in American Fork, UT. He was born on September 24, 1950, to Alfredo and Faustina Jaramillo Herrera in Taos, New Mexico. Arthur married Priscilla Marie Vásquez on June 19, 1971 in Provo, Utah. Arthur had a passion for camping and fishing, he enjoyed gardening, listening to his music and watching cowboy movies. He was very active in the Catholic Church where he served as a Eucharist minister, was a member of the Knights of Columbus and served as the coordinator for many of the church activities. Arthur also assisted in the construction of the St Peters Church in American Fork. Arthur is survived by his wife Priscilla Marie Herrera; his children, Angela Frampton, Lisa Sibert, Mark Herrera, 5 grandchildren and 3 great-grandchildren. He is also survived by his brothers Rodger & Alfredo (Linda) Herrera, sisters Jennie (Antonio) Calderon, Frances LaForett, Erma Pineda and Lillian (Lawrence) Norton. He was preceded in death by his parents Alfredo and Faustina Jaramillo Herrera, his sisters Teresa Henderson & Elaine Steward, his brothers-in-law Orlando Pineda and Esequias Laforett, a sister-in-law Gloria Herrera, nieces and a nephews. Funeral services will be held Wednesday, January 30, 2019 at 10:00 AM in the St Peters Catholic Church, 634 Caveman Blvd., American Fork. A viewing will be held Tuesday from 6 to 7:30 PM followed by a Rosary at 7:30 at the Anderson & Sons Mortuary, 49 East 100 North, Am. Fork and on Wednesday prior to the services at the church from 8:45 to 9:45 AM. Burial in the American Fork City Cemetery. Please share a memory at andersonmortuary.com.